We can re-position footrests on most twinshocks to your requirements. 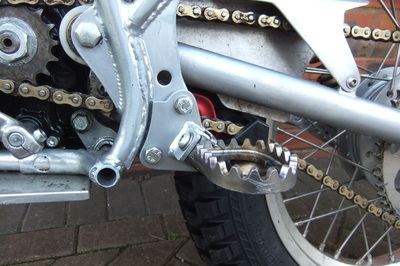 Having ridden trials for 30+years, most recently on a 250 Honda winning the Sammy Miller Twinshock Championship, it is my opINion that the footrest position should be the same on both 200 & 250 machines. I have modified a number of TLR250 F's and all customers have been extremely happy with the new riding position (LOWERED AND MOVED BACK), some with head angle altered. 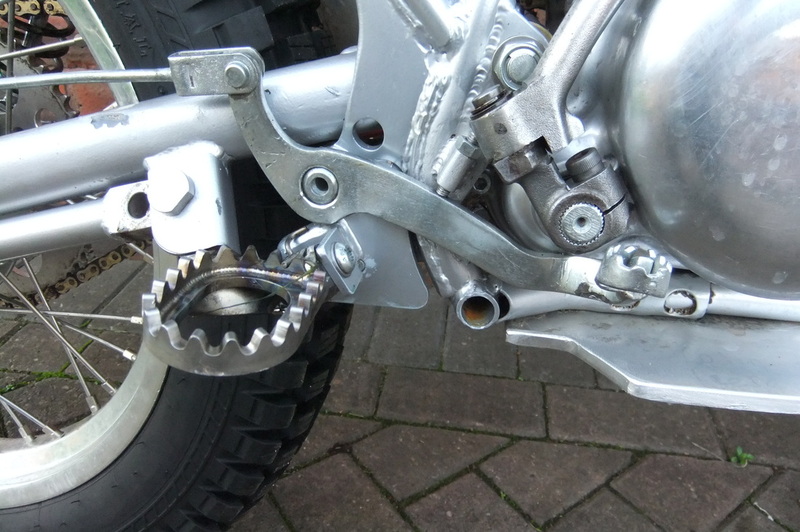 This is a finished footrest alteration and repositioning to a HONDA TLR; the frame having been newly powder coated following modification.